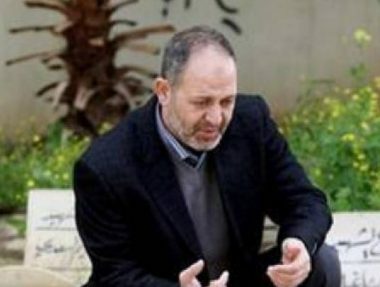 Israeli soldiers abducted, on Monday evening a senior political leader of the Islamic Jihad Movement in Palestine, after surrounding homes belonging to his relatives, in the al-Jabriyyat neighborhood, in Jenin refugee camp, in the northern West Bank city of Jenin. Media sources in Jenin said undercover Israeli soldiers infiltrated into the refugee camp, and surrounded Sa’adi family homes, before dozens of regular army units invaded the area, after isolating it. The soldiers then stormed into several homes, owned by members of Sa’adi family, and abducted Bassam, after assaulting him and his family, in his brother’s property. The Israeli army confirmed the arrest and said that many Palestinians also hurled stones and empty bottles at the soldiers. The army fired live rounds, rubber-coated steel bullets and gas bombs; there have been no immediate reports of casualties. It is worth mentioning that Sheikh Bassam Sa’adi is a father of two young men who were killed by the Israeli army in previous invasions and was repeatedly imprisoned by both Israel and the Palestinian security forces.